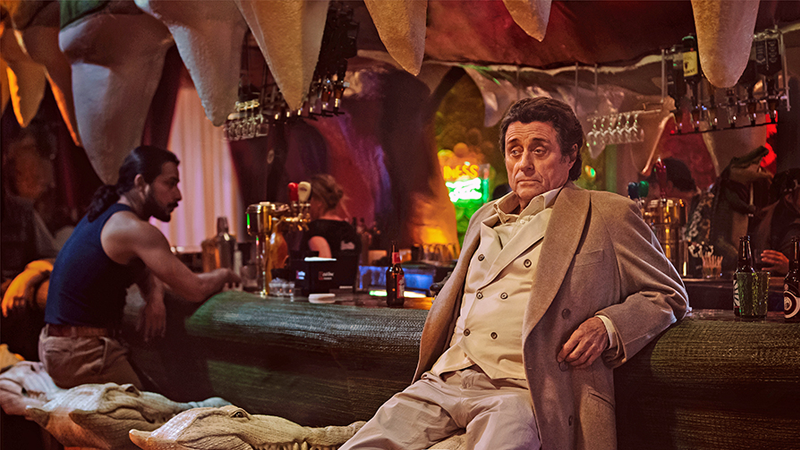 We’ve been hearing about American Gods’ excellent casting choices for a while now, but now we can see a few of them in action—new images have been released giving us our first look at Mr. Wednesday, Shadow Moon, and a memorable location from the book to boot. It was one of the sets that we were the most excited about and an opportunity to do a tonal landgrab for what we are and what the style of the show will be. [Jack’s] is a kind of hillbilly chic aesthetic for Shadow’s entrée into the world of the gods. And man, it looks pretty fabulous so far. American Gods is set to hit Starz next year.